Cue the theatrics. Nicki Minaj now has smoke for the Grammys. Artists have constantly blasted the Grammys over the politics played in choosing the winner. Nicki Minaj is the latest to take aim at the Grammys. The rapper responded to a fan who found it weird that Nicki’s been in the rap game for years but never took home an award. “Nicki Minaj has been at the top of her game for too long to not have had a Grammy. I don’t know what white man from the boards she pissed off,” the fan wrote. 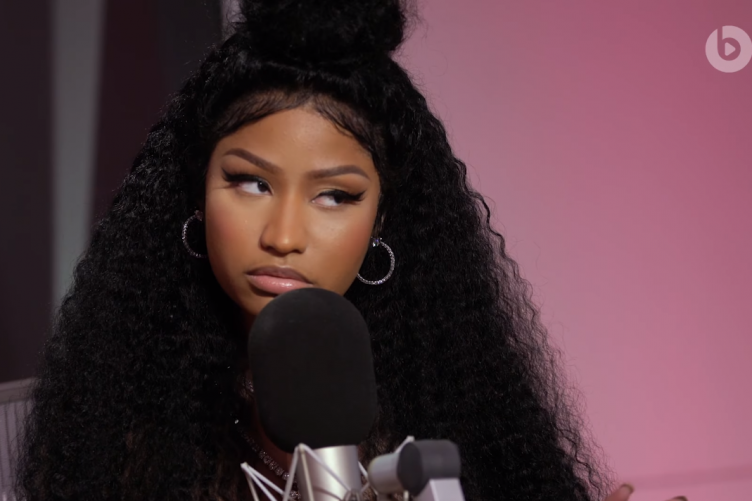 Well, it looks like Nicki’s ready to spill all the alleged tea after she claims white man from the Grammy committee has allegedly gotten in the way of her Grammy. She added, “Also, CONGRATS to everyone who won last night,” which seems to also include Cardi B who she spent rivaling for the majority of 2018. Ken Ehrlich previously had some harsh words for Nicki’s 2012 performance at the Grammys which may be apart of what Nicki herself said in her tweets. In a 2012 interview he pretty much said the organzier’s were greatly disappointed with Nicki’s Grammy performance of ‘Roman Holiday’ where Minaj basically staged an exorcism. For a reminder of that performance, take a look below. All of this just seems really unnecessary and tacky. Who exactly is going to win from this? This could only bring Minaj into a deeper hole with what the general public outside of her fans views her as currently. What do you guys think?